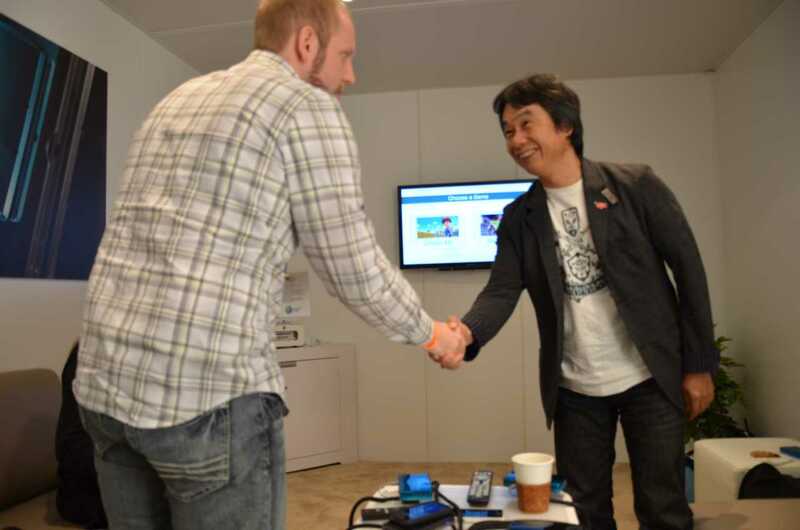 Miyamoto is a fun guy. Sometimes it frustrates me that people don’t ask him more pointed questions, but at the same time we know we wont get the answers we are looking for. I, for one, would love to hammer him about Wii U’s online system. For Zelda, I would love to try and figure out if and when he thinks he can stay hands off in the development process. I would also maybe slip in a quick question about the timeline, though I expect nothing but the same responses we have always gotten. There is a lot I would ask the man. Game Informer had a nice sit down with him and discussed tons of stuff. The Zelda series is widely loved. But there are some criticisms that the series hasn’t evolved over the years. Now that we’re at the 25th anniversary, are you happy with what the series has become? 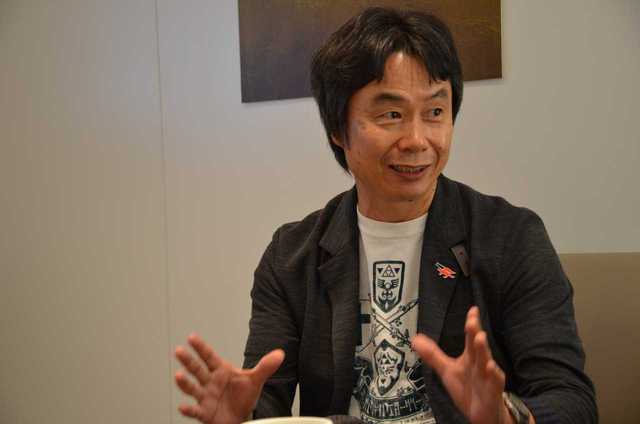 Miyamoto: The thing that we think is valued the most in the Zelda series is that the player isn’t just playing a game. The player is in that world and part of that adventure and using their own abilities to solve the puzzles and fight the enemies that are there. I think that’s really where we’ve put our focus on that series over the years. Possibly as a result of that there’s the tendency for the gameplay to feel a little bit more linear. Really what’s important for us is that satisfaction that you get from sitting down and thinking your way through those puzzles and finally solve them. So the idea is that the player grows and matures over the course of the adventure, and one way to strengthen that feeling for the player is to have the adventure follow along with a flow and be very connected to a story that progresses as the play progresses through it. I think that’s where the structure or the order of the game comes from. Of course, as the games evolved into the full 3D worlds, and more recently with the implementation of motion control, I think that sense that you’re the one in that adventure experiencing it has strengthened greatly. I think in that sense the Zelda series has really evolved. The other thing that we did with the Zelda series is we intend to create the game in way that the player has a tremendous amount of freedom in terms of the things that they’re able to do. As they explore the world and discover things and try to play the game in different ways, there are little thing sprinkled throughout the world that will reward them for that. I do think that the notion of following a story perhaps pushes people towards that normal progression of the game. What I’ll say about Skyward Sword is that there’s a tremendous amount of places you can go and things you can do in that game. It’s very open world, and I would encourage everyone to go and explore every nook and cranny of that game as well. The Legend of Zelda: Four Swords Adventures is being given away for free on the 3DS’s eShop. Are you giving away the game for free because you’re not satisfied with how few people have played the game? Why give it away? Miyamoto: I think Four Swords is a very fun game. Miyamoto: Obviously, because you needed so many Gameboy Advance link cables to play the game when we released it on Gameboy Advance, not many people played the game. So from my perspective it’s very fun and I want many people to play it as well. But our sales team is worried that it’s a tough thing to sell. Now with the Nintendo 3DS and the more recent systems, the communication and multiplayer doesn’t require a cable anymore – it can be wireless. For many years we’ve been talking about how we wanted to take advantage of that and remake Four Swords. Particularly this year, being the 25th anniversary of Zelda, we wanted to offer people something that would allow them to play Zelda together very quickly. So we decided to take the original and make it available for people to play via their DSi. 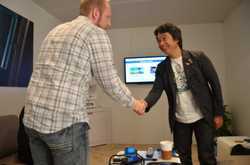 Bill [Trinen, Miyamoto’s translator] was also asking us to make Four Swords Adventures and Tetra’s Trackers for Wii. At the Nintendo E3 press conference you announced regional orchestral concerts that will be playing Zelda music to celebrate the franchise’s 25th anniversary. The Final Fantasy Distant Worlds concerts have been going on for years. Did you hold off on these concerts in order to coincide with the anniversary? Miyamoto: We were never at point early on in thinking we want to do a concert but let’s just wait until the 25th anniversary. Really what happened is Nintendo is a video game company, and we don’t put on concerts and we don’t really expand beyond the video game realm. But when we started thinking about the 25th anniversary and what we could do to let the fans appreciate and celebrate that, one thing we looked at is the connection the Zelda series has to music. In recent years as we’ve moved towards orchestrated music, and the music has taken on even greater importance in that sense, we felt that the idea of holding a concert to celebrate the 25th anniversary was something that meshed really well and made a lot of sense. I find it interesting every time Miyamoto talks about Zelda. I am pleased with the 25th anniversary stuff, but I do hope there is more coming. There wont be a concert in my area as it stands and while the CD is nice, I wouldn’t be against a nice “Zelda All-Stars” package. They said there is more to come, but we likely wont see it until Skyward Sword hits store shelves. How similar is the hardware of the Wii U’s circle pads with the 3DS’s? Miyamoto: The circle pads that we’re using for the Wii U controllers are of a more advanced state than the one we created for Nintendo 3DS. They will perhaps have a bit more precision. The mechanism that allows those circle pads to work is still very different from, for example, the mechanism we used for the control stick on the Gamecube controller. In that sense it’s very tough to compare the precision or how the circle pads will work in that sense, but personally I feel that we’ve gotten them to a point that when you sit down and play with them you get used to them very quickly and they feel very nice. Why didn’t Nintendo promote the fantastic-looking new Kirby Wii and Kirby: Mass Attack games during its E3 2011 press conference? Miyamoto: We really streamlined the conference this year to focus on a few things, being the Zelda 25th anniversary, the 3DS, and the Wii U. The Kirby games didn’t fall into any of those big buckets. Also, in terms of E3 being an industry show and a business show, we look at the presentation as being one way of being able to talk about our products. Particularly with the two Kirby games you speak of, we still feel there are a lot of ways we can deliver the message of those games to consumers. I’ve heard rumors that Kirby was named after attorney John Kirby, the lawyer who defended Nintendo in a lawsuit by Universal during the 80s. Is it true? Miyamoto: Yes, it is a fact that I met John Kirby and got to know him when he was defending us during the lawsuit against Universal. And it is a fact that the Kirby name was partially chosen in connection to him, but it wasn’t named after him. Instead, we had a list of names that we were looking at and Kirby was one of the names on the list. As we were going through the list and narrowing down the selections we saw that Kirby was there and we thought John Kirby’s name is Kirby, and started thinking that if those two had a connection that would be kind of funny. The other element to the naming is that the character is very cute. Kirby is this soft and fluffy character and he’s very cute. In Japan, for cute characters they use very soft names with soft sounds in them. I thought the name Kirby had these harsh sounds to it, and I thought the juxtaposition of this cute character with this harsh-sounding name was very funny. Interesting how Kirby’s name came along, but I find the bit about Wii U’s circle pad to be just “slightly” more interesting. People were worried they would just be exact copies of the 3DS. but it appears they have made several improvements that make them feel more natural and more comparable to joysticks. This is good news of course, and I am sure it will be more responsive than we are presently giving them credit for.